This is what happens when you mix uses and have education / schools in the central business district and retail areas of your city. 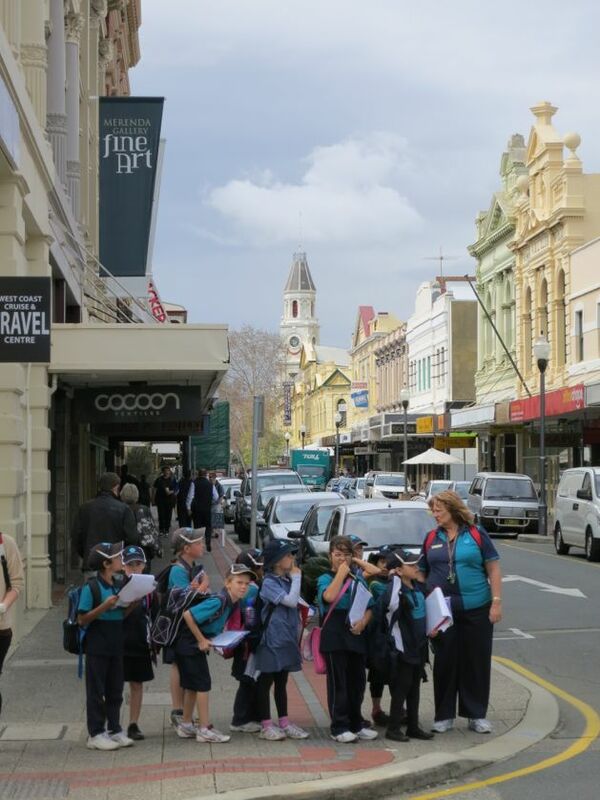 The kids see the community and economy at work – not like being stuck in a yellow field in Canning Vale. The community and economy gets more people within their realm – that’s good. The bonds between the local retail community and the growing population increase. The place becomes safer as kids and retailers get to know each other. Hey look – they’re walking around. Above: corner of High and Pakenham Streets in Fremantle, Australia.